Site 1. - The Head office: This unit established in the year 1931 AD. 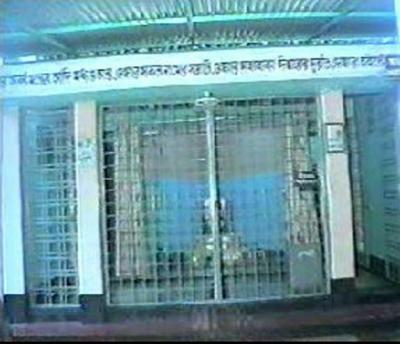 is situated in the village of Rahimpur under Muradnagar Police station of Comilla district, about 120 k.m. away from the capital Dhaka. 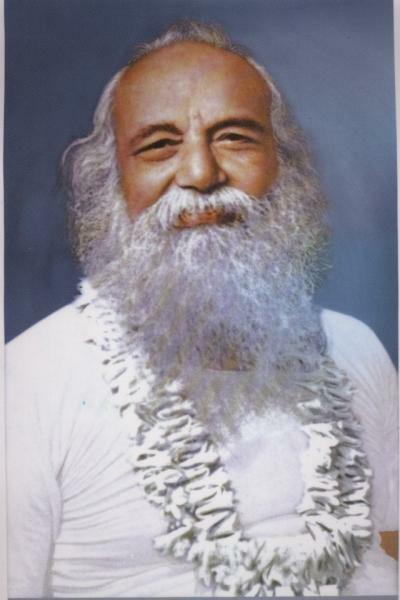 Founder: The Great Master, His Holiness Akhandamandaleshwar Shri Shrimat Swami Swarupananda Paramhansa Deva, founder of 'The Morality campaign' and 'Abhiksa' (Non-begging) ideal. 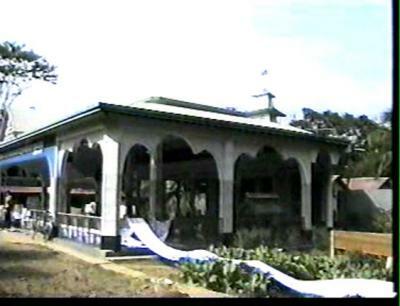 Site 2. 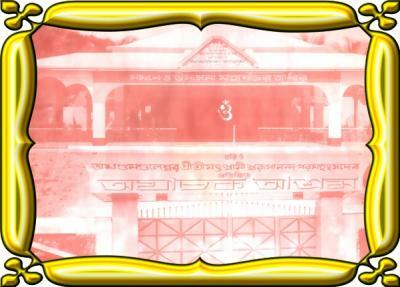 - The Holy Birthplace unit: This unit of the Ashrama is situated in the township of Chandpur about i60 Km. 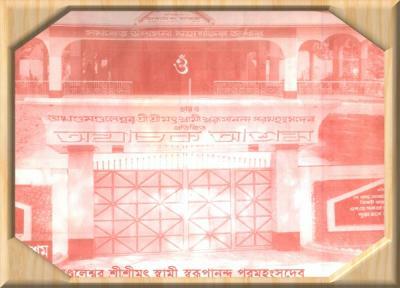 from the capital Dhaka and has been established in the year 1996 AD. 1. 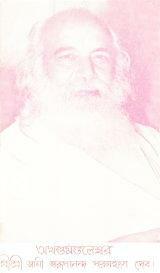 To preach religion for bringing amity and harmony among the discordant factions in the world. 2. 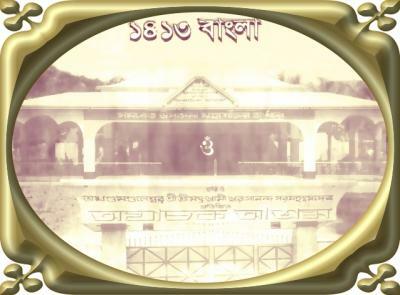 To preach and teach about morality, chastity, personal cleanliness, social awareness, social welfare, self-help, physical fitness, physical development, spiritual development and such allied subjects. 3. To help the old, invalid, helpless and needy people. 4. To help men and women in need of food, shelter, clothing, treatment, education and employment. 5. To help poor parents arrange their daughters' marriage, to help widows and deserted wives by all available means and to do all other public charitable works as may be deemed fit and necessary calamities such as flood, drought, earthquake, cyclone, outbreak of fire etc. 6. To render relief works and/or to help people to render such relief works in natural calamities such as flood, drought, earthquake, cyclone, outbreak of fire etc. 7. To establish educational institutions, student hostels, shelter for pilgrims, libraries, charitable dispensary, hospitals, old men’s' asylum, orphanage etc..
8. To propagate 'Morality campaign' and the ideal of 'Self-help and Non-begging'. 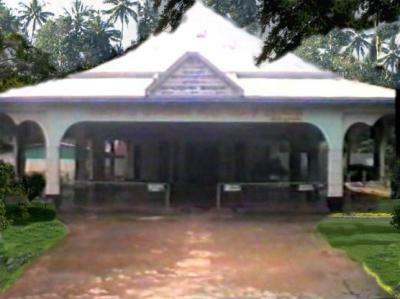 Once every week on a fixed day and time and on special occasions of religious and national importance congregational prayers are being arranged at the Ashram Prayer Halls, where hundreds of devotees irrespective of caste, creed and religious identity attend, which enables to practice amity and harmony amongst the different sections of life. 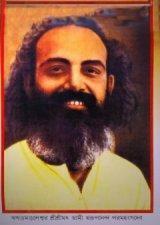 Agamikal arthat 25/04/2014 tarik chandpur ayachak ashrome baba monir tirodhan onustan. 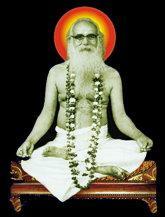 Babamoni is our gr8 Guru ,we always follow his word & respect him & his work & try 2 follow his path by heart, "JAY GURU". joy guru.The most beautiful word is "OM"The most beautiful song is "Hariom" our family always say to "Hariom"please all time say to"Hariom"
Today, Babamani's followers 101 visitors (121 hits) on this page!